Eldorado Stone offers the largest selection of stone veneers in a variety of styles. Most people think of outdoor uses when first considering stone. While stone can certainly be a fantastic addition to the outdoor spaces of your home, a stone veneer can look incredible in just about any interior location too. The stone veneer available from Eldorado Stone comes in numerous cuts, textures, and colors. One of our favorite options is Stacked Stone, which can be a dramatic addition to your next home remodeling project. The first thing you want to decide is the location of your new stone walls. Remember – stone veneer walls are going to draw the eye and become the new focal point in whatever area you install them. It’s important to consider how you want to tie it together with the rest of the space. If you choose a particular room for your stone wall, such as a bathroom or dining room, this should play a part in your stone decision-making process. For example, a smoother, tighter fitting stone such as our CoastalReef stone has a low profile and smoother surface. This can create a more refined and contemporary stone wall. Hillstone, an option with a much rougher texture and more irregular shapes, presents a more tradition and rustic style. An option like our Stacked Stone has the classic elegance and intricate detail of small ledgestones. However, it's actually a panel system that allows for easier, faster installation and while disguising the panel with the various depths of the stones. A versatile stone like this is frequently used indoors in various rooms to add color and texture to into a space. In terms of appearance, you have many stones to choose from, each with unique shapes, scale, textures, and colors. 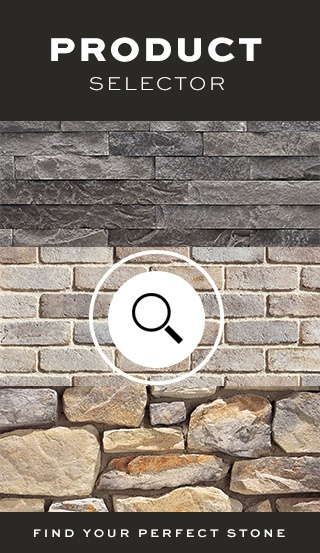 Use the Eldorado Stone Product Selector to narrow down your options based on your design style. You can also upload a photo of your space to our stone visualizer and see the stone on your wall to help you choose a style. Think about the wall’s profile and how pronounced the individual stones should be. When you create a design with thoughtful use of color, stone shape, texture, and grout, your new stone veneer wall is going to make a big statement. Almost as important as the stone you choose will be how you finish the look. The grout fills in the joints between the individual stones, and the texture and color of the grout you select will further enhance the character of stone walls. Think carefully about your options in terms of grout color, texture, and technique as this has a large impact on the final look of the finished stone wall. For example, when using larger stones with many irregular shapes, a standard grout technique will expose all the fine details in the edges of every stone. If you opt for an over-grout technique, the grout overlaps onto the face of the stone hiding the stone edges and softening the texture and transition between stones. Stone walls can add refined detail to any interior space, so it’s important to carefully consider all of your options and properly prepare before installing your stone veneers. Just about any type of look can be achieved with the right use of stone and grout in the right location. Eldorado Stone offers a wide selection of stone veneer, and you can order samples to see how each option looks firsthand. It’s important to understand how to properly install stone veneer to make sure your veneer looks and performs exactly how you expect. The proper use of flats and corner stones around fireplace openings, and windows and doors creates an authentic looking stone wall. 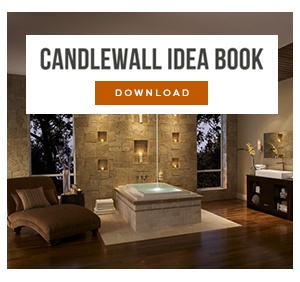 You can visit us online for more information about stone veneer walls, including complete installation instructions. Be sure to check back with us regularly for more in-depth guides.